I find you fascinating and quite knowledgeable. I found your comments on the USoT message board quite useful in my practice. As a therapist I appreciate your concern in not claiming to be a professional. It’s quite thoughtful and sincere of you to share from your personal experiences. In fifteen years of medical school I have learned more from your input on D.I.D. than what was covered in text. I’d like to commend you for your effort to help. I have met Richard Baer. What he did was no easy task. As a medical professional I would have transfered you and treat only the medicinal part of your therapy. IMO it took two. You and Richard Baer. Thank you for all your compliments, especially in sharing that you have learned much about the illness through my answering questions. 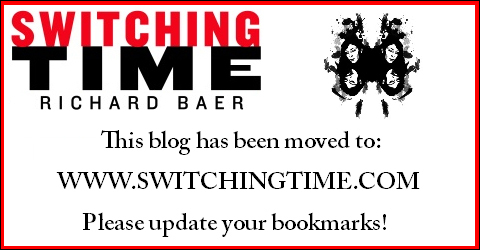 The main reason Dr. Baer and I shared our story in Switching Time was to bring awareness to the illness, multiplicity, in an accurate way. It has always been our hope to help others in the best way we could. I am glad you met Dr. Baer and felt inspired by what he accomplished in his treatment of me. Although his task may have been difficult, you are right, it took the two of us to accomplish the miracle of healing me. It was definitely impossible for me to heal from my past abuse on my own. I needed help. I had endured so much that I never thought I’d be alive today. Dr. Baer never once gave up on me. I will always be grateful. I believe we each benefited from our work together by respecting each other for who we are. Thank you for being honest sharing that you would refer a patient like me to someone else. That’s a very important part of being a therapist, to know at the beginning of treatment that you couldn’t deal with someone like me. Dr. Baer hesitated at first, but then took me on wholeheartedly. If Dr. Baer had sent me off to another therapist after working with me for awhile, I would’ve ended my life. Multiples like me don’t take rejection well. It’s always best to cut off the therapy, if necessary, early on with a multiple, before the multiple starts to build trust with the therapist. Any doctor who choses to treat a multiple needs to know this. Otherwise, the pain endured will devastate the multiple forever, and may even lead to the multiple’s death by suicide.